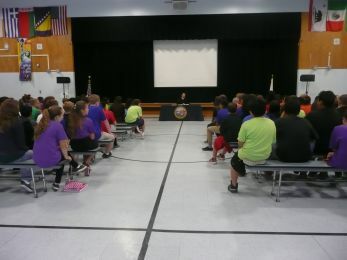 In an effort to educate and prevent students from driving under the influence, the District Attorney's Office partnered with the Law Enforcement Chaplaincy of Sacramento and the Sacramento Superior Court to bring real-life DUI court hearings to local high school campuses. Beginning in 2010, this program conducts sentencing hearings in front of high school students with a judge, prosecutor, defendant and defense counsel. The hearing is followed by a number of speakers including the judge, prosecutor and representative from Mothers Against Drunk Driving. Funding for this program is provided by the California Office of Traffic Safety through the National Highway Traffic Safety Administration. Contact Angela Kellogg at (916) 857-1801 or by email at angela@lecs911.com to schedule a DUI court at your school. 1. Host a DUI court at your school.